More than likely, I deserved to feel shame--for whatever disobedient-willful-bad deed I had committed. At the time, I might have experienced some guilt---over being caught---but do not recall any real shame. Shame was to come later in life. when asked, "Are you married?". And the primary source of the finger pointing--fellow believers--is disappointing. BUT--before we jump into that can of worms--perhaps, it would be best to talk about what shame is. This says it better than I could even begin to explain it. The statue is Eve leaving the garden after feeling shame for her nakedness. She could not resist a bite of that apple--and we have been doomed to the feeling of shame ever since. Looking back---perhaps my body was the cause of my first real experience of shame. Raised during the close of the Victorian era --somehow shame became a sorry substitute for modesty. Especially among the females--we hid our nakedness--not for the sake of modesty--but in shame over the flaws the world convinced us our bodies held. Oh---the men were strutting around the locker room, but trust me---many definitely felt shame---the shame of not measuring up. Shame and guilt are sometimes thought of as parallel emotions. 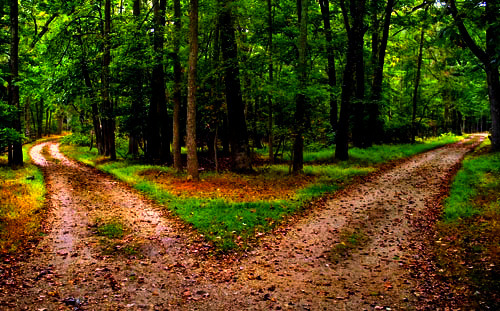 Though they often serve as double lines along the road of our emotions---they also can diverge and go down one way streets--all on their own. I read an interesting explanation while exploring this topic-our guilt is caused by our doing something wrong---but that is not always the case with shame. Shame can be self imposed--or imposed by others---even when we have no control over the source of our shame. How many of us have had some sexual trauma in our past? Something which was done to us and we had no control--no way to prevent? There are those who openly discuss the horrors of what has been done to them. I fear this is the tip of the GIANT iceberg. Many of us are not willing--unable--to talk about what happened---because of shame. Convinced we will be unworthy of acceptance--it becomes a dark secret--hidden away in the recesses of our soul--eating away at our confidence in our worthiness of being loved--it is a black hole of fear of discovery. We become convinced something we did invited the trauma-and we will never know the untruth in that--because we keep it a secret. I have other secrets which cause me shame when I think of them. I would never tell you what I did--for fear it would cause you to turn and leave me--and I could not bear that loss. So mulling this over--shame and secrecy are tied together in a knot of conspiracy--so tightly tied--it will take great strength to free us. Until we are able to unravel the need for secrecy--the shame will bind our hearts in the secure grip of debasement. NOW--go back to my current shame---that ugly word divorce. I did not want my marriage to end---never imagined I would be divorced today. When I am asked the question of my martial status, there are no extra lines or moments to explain that---there is only the answer, "Yes". And I am doomed until I exit this world, to this answer and the shame that comes with it. The only worldly redemption is marriage---and then you are no longer divorced--don't even have to mention that dirty word---you are married. 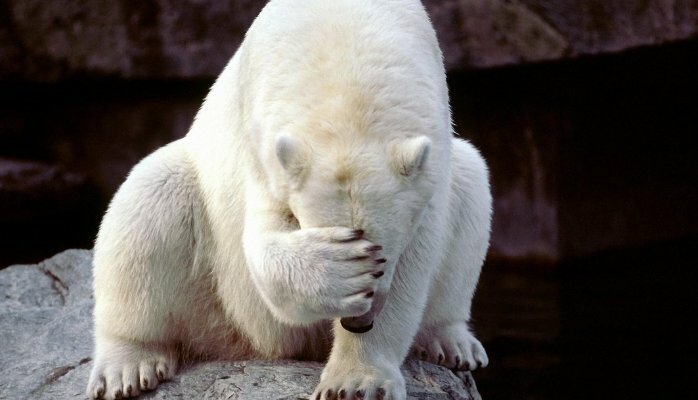 Since I do not see that happening, I must strive to leave this shame behind---but how? The sad truth is the label of widow has a much softer ring to it. Widows are given an elevated status in society--held in high esteem. They kept their marriage together--and were left alone- because their spouse predeceased them. I was reading today in "I Timothy 5" the qualifications of being put upon the churches list of widows. I pretty much qualify except my ex-husband did not die--so I am doomed to the title of "Divorcee" and banned in the eyes of fellow believers from qualification for the list. SO you ask---where am I going with this----the fact of the matter is---I feel NO SHAME in the presence of Jesus----HE knows the story---He has accepted me as a Biblical Widow. The world is my source of condemnation. I am asking God daily---"Help me to know - you are all I need". Not the approval of the world, not the social status of preferred titles, not even the love of all of you---I ONLY need Him. 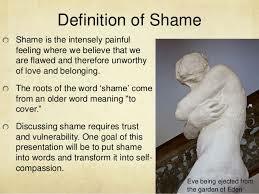 Until I cross the line---learn that lesson---I am doomed to shame---unearned shame. Pray for me as I pray for you that we may put whatever shame we suffer behind us---untie the knot---and live in the freedom of His love. Shame on me for allowing man directed shame to live in my heart---when He conquered all shame--once and for all. Lulu, you are wrong, wrong and wrong again. You have no reason to feel shame for being divorced. I feel this is self-imposed shame and it should stop. The Catholic church, to which I belong, have lots of rules about marriage and divorce. They believe that marriage is for life and it is a vow/contract you enter with God and your partner. However, despite this dogma and belief, there have been occasions, (and I've discussed this with many priests), where priests believe that the only solution to a bad marriage, or one that has gone wrong, is divorce. A priest once explained that God meant marriage to be the union of two individuals living together happily under God's rule. 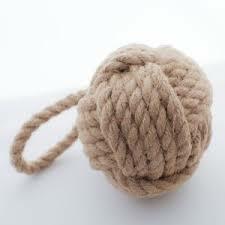 But if one partner somehow wanders away from that ideal, and breaks the rule, then divorce is inevitable. It would be wrong for a marriage to continue where one partner is held prisoner by a vow made years ago and not kept by their spouse. God wants marriage to be a happy place not a living hell for either or both individuals and their offsprings. I once described to a priest an unhappy marriage I knew was taking place amongst some Catholic acquaintances of mine. He replied that if that individual came to him for advice he would tell him to divorce and get out of that relationship. Whatever the reasons for your divorce, it happened, and, as you say, you did not want it to happen. There is no shame here for you, Lulu. Believe it. 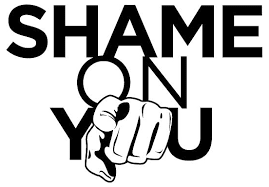 You may or may not tell us of your other shames - but in reality, shame is when we do something wrong and we know at the time of doing it that it is wrong, and yet we continue and do it all the same. Like eating the apple for example. Although I believe that itself would not have happened if God commanded that they do not eat broccoli. Praying for you Lulu, that you may yet come to accept that there's no shame in divorce. God bless you. Oh, Victor, shame is so much more--than the feeling of when we do something wrong--that is shame and guilt, Friend, The two lines down the same road--but shame can diverge and be caused by other things---even when we did no wrong. Tomorrow I look at one of the other causes of our shame---labeling. When I began to explore the topic---I soon discovered there was so much more to shame than your explanation. I appreciate you comments and your admonition there is no shame in divorce, but as the old saying goes--until you have walked a mile in my shoes. The entire point of this post was my acceptance of the shame the world places on me when Jesus does not point his finger at me--but wiped my slate clean---and I am not shamed in His eyes. As always--I am thankful for your input and enjoy our hitting the ball back and forth over the pond. If all the world felt as you do, Friend, it would be a much more beautiful place. I repeat - you have no reason to be ashamed of being divorced. If other people have a problem with you being divorced then that is their problem and not yours. It says more about them and their attitude than it says about you. You are a wonderful person who believes in God and do your best to live according to His law; and you are also divorced. Being divorced does not stop you from being a good person; and per se is nothing to be ashamed of. Hold your head up high and be proud of who you are. My head knows what you say is true, Victor. It is sometimes easier to hide away than to face this head on--so I write about it in an effort to move past it! I am thankful for your support! Ohhhhhh, I quite agree with Victor, my friend (hmm...on the Catholic church, though---I will leave it at that.) ---I see where he is coming from---and I also see where your coming from. As always, a very thoughtful post. Praying you have a beautiful week, friend. More to come on this subject, Friend. Tomorrow's topic may well resonant with many. It's a sunny cold day here in TX---my cold is in the 40's unlike your frigid in the single digits. Plan to take a walk and soak in the sunshine! Brene' Brown has written several excellent books concerning shame - how we get it, how it influences us, and how to get free from it. Highly recommended! Thanks for the rec, My Friend!. I am not finished exploring the topic! Listen to your Vox message & TALK TO ME!! !